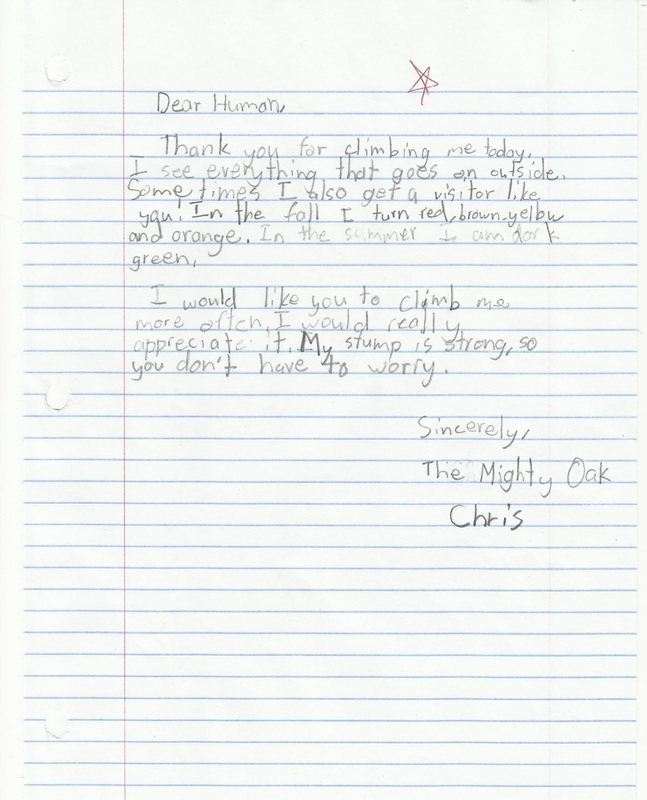 I found this letter last night in Christopher's stack of school work....a letter written by The Mighty Oak. 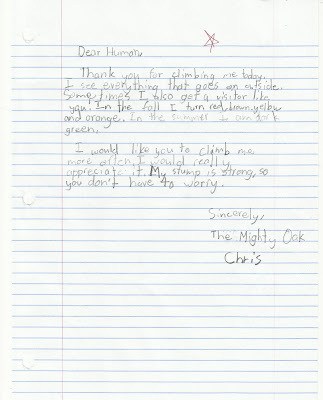 I guess that all of the talk around here about having to cut down our oak trees got to him. Plus, I love the (old-school) red star of approval.